Click here to find shops to rent in Berkshire and Newbury. Deal Varney are expert letting agents in Newbury and offer retail, shop and restaurant properties to let in Newbury and West Berkshire. View our properties now to find your next shop to rent in Newbury. This property offers versatile accommodation suitable for a variety of uses including retail sales and professional offices – all subject to the consent of the Local Authority. Weavers Walk is an exclusive courtyard development of shop units located just off the main prime retailing street which is very close to the new Parkway Centre, with pedestrian access through to a large car park to the rear. 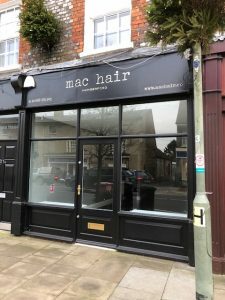 The property is a two storey retail unit offering retailing space on both ground and first floors and is one of 11 units in the Courtyard all of which are currently let. There is a restaurant providing an anchor and a very popular café which provides footfall throughout the day and a communal store and disabled WC within the scheme. James House is a purpose built office, which provides accommodation on 3 floors. The ground floor suites is predominantly open plan but has been fitted with a private boardroom, additional meeting room/boardroom constructed from full height glazing panels, storeroom and tea point. This is a very bright office which benefits from good levels of natural lighting through the full height glazing to the front and rear elevations.